Finished painting my Christmas present and I must say I’m impressed with the model. It was all quite straightforward and easy to paint. 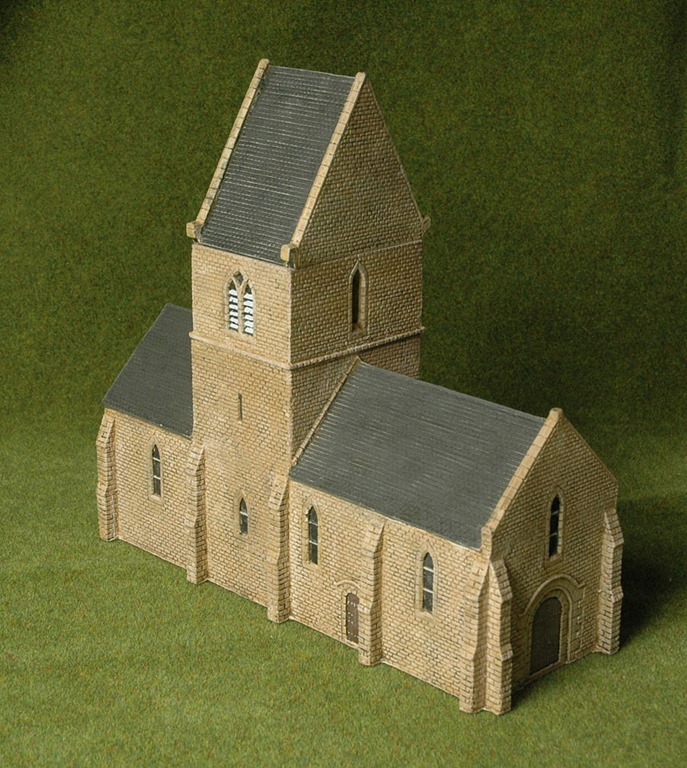 Made by Tiger Terrain this model is based on a small church which can be found at Le Bourg in Normandy. 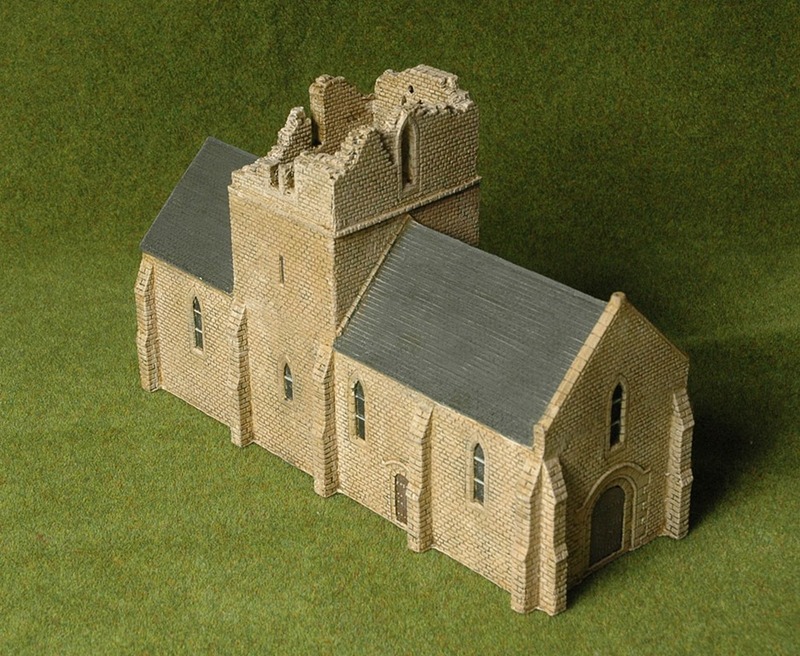 It is not an exact scale model, the actual church which you can see on Google Earth Below, has a few features not found on the model, but it does have a distinctly Norman look and that will do for me. What I need now are some of the rather splendid French Gravestones from Goldfinger Models pictured below. 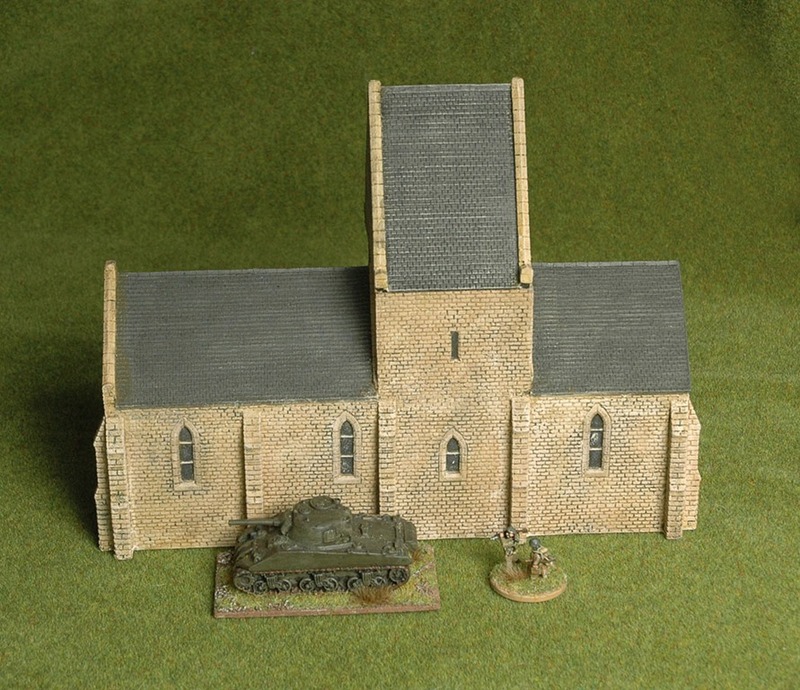 I can see me getting a few more models from Tiger Terrain, they’ve got a decent range of 15mm Normandy buildings, some of which are modelled on actual buildings and all of which look appropriate for the region. I think I will be getting one of these sometime, every French village needs a Mairie. 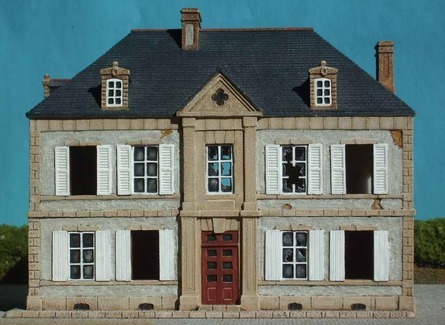 This building is based on the Mairie at Ste-Marie-du-Mont. Again it’s not a true scale model, but again it looks the part. That’s two companies, Tiger Terrain in the UK and Goldfinger in France, who are making terrain for Normandy based on research and which looks like it actually comes from the area. I find this a refreshing change from the majority of companies, who seem to just stick the word “Normandy” on generic buildings that could come from just about anywhere in Europe.